Aimé Tschiffely (1895-1954) was a Swiss-born, Argentine professor, writer, and adventurer. An adventurer at heart, he left Switzerland to teach in England in his early 20s, but found a new passion as a professional footballer and boxer. He then moved to Buenos Aires where he settled into teaching again. 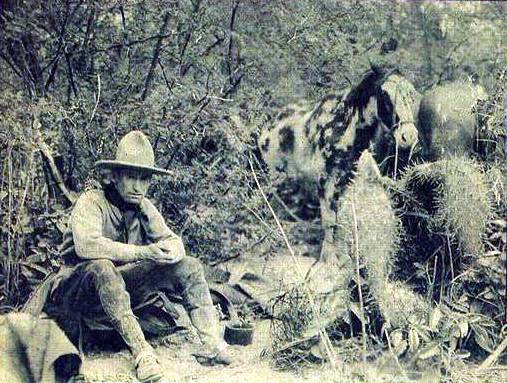 In 1925, at the age of thirty, he decided to undertake a journey by horseback from Buenos Aires to Washington DC. He wrote about his ride in a bestselling book Southern Cross to Pole Star: Tschiffely's Ride, undertaken on two native Criollo horses named Mancha and Gato. This epic adventure is still considered one of the greatest horse rides of all time. Tschiffely was greeted by a ticker-tape parade in New York, and was a household name in the United States during the 1930s, meeting with President Calvin Coolidge and appearing in National Geographic Magazine. He later moved to London where he continued to write more books, and he died in 1954. His courage, voice, and incredible feats on horseback inspired the foundation of The Long Riders’ Guild, which now controls his literary Estate.